I’ve been co-facilitating Death Café events in Chicago for almost a year now. Our events have attracted over 150 attendees. Some of those who attended are now facilitating their own Death Cafés, and I couldn’t be more excited. For those not familiar with Death Café, I highly recommend their website. You’ll not only learn the history, but read fascinating accounts of what people are doing in Death Cafés in the UK, Canada, Italy, Australia and all around the US. No two are the same, but all have the same goal: to provide a safe, supportive environment for people to discuss issues surrounding death and dying, with a goal to making the most of their finite lives. After our last event – which was filled up two weeks in advance – my partner and I sat down for a series of discussions. Obviously the need is there. The evaluations were glowing and some offered suggestions for improvement (which we’re implementing). But was there more we could offer? Were people looking for more specific kinds of discussions related to death and dying? Death Café: This is our introduction to death and dying issues, for people who have never attended a Death Café. We have group discussions, individual activities, as well as with a partner. As much as we can, we allow the attendees to drive the discussion topics, always with a goal of allowing people to consider their legacy. On October 28, we’ll be back at Curt’s Café in Evanston, Illinois. "Friend Grief": This is a themed event for those who have attended a Death Café and asked for more! 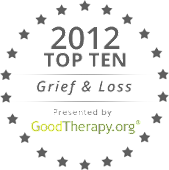 Our first one will be led by me at Drake & Sons Funeral Home in Chicago on October 23 and will address friend grief. Other topics are in the pipeline. Field trips: Now at first glance, you might think our events would be limited to locations such as cemeteries or funeral homes, and that’s possible (though our first themed event will take place in a funeral home). But they’re meant to be gatherings that are more casual than sitting around a table in a room. Our first one, on October 14, is a kayaking excursion at Skokie Lagoons in Glencoe, Illinois. Ultimately, our goal is to eliminate the resistance to attending a Death Café - or any event where the discussion is revolves around death and making the most of your life. Don’t want to set foot in a funeral home? Then come to a coffeehouse. Don’t want to discuss living wills? Then come to a Death Café where we’ll talk about lots of things. So if you’re in the Chicago area, join us! If not, check the Death Café website for a list of upcoming events in your area. You can also find out how to host your own Death Café. It’s easy. It’s fascinating. It’s even fun. And you’ll be surprised how much you learn about yourself in a very short time.